Ridge Runner Eagle Head Pocket Knife - 3Cr13 Stainless Steel Blade, Etched Artwork, Bone Handle, Nickel Silver Bolsters | BUDK.com - Knives & Swords At The Lowest Prices! 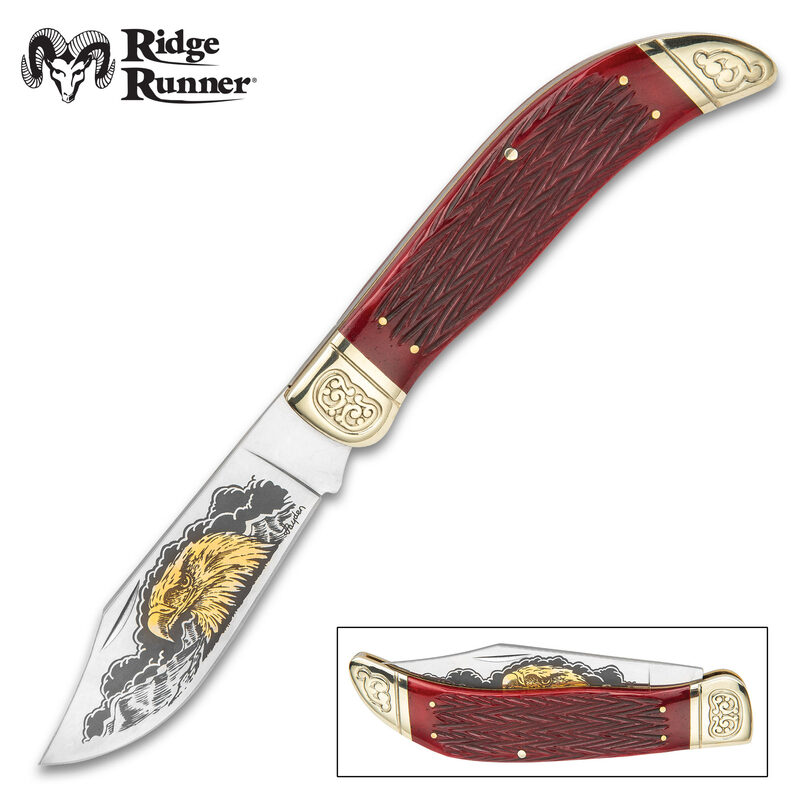 The majestic American Eagle was the inspiration for the Ridge Runner Eagle Head Pocket Knife. 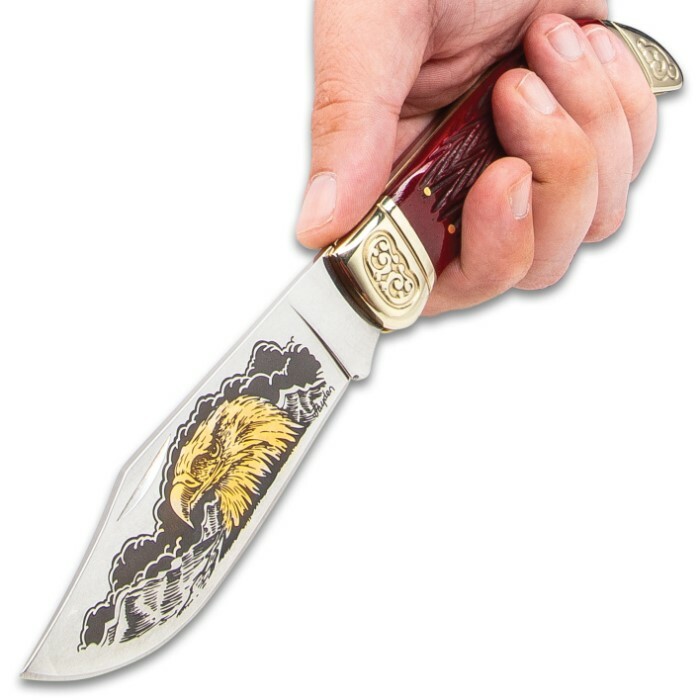 It has a 4 1/4” 3Cr13 stainless steel blade with a gold-toned American eagle etching on a gray sky and mountain background. 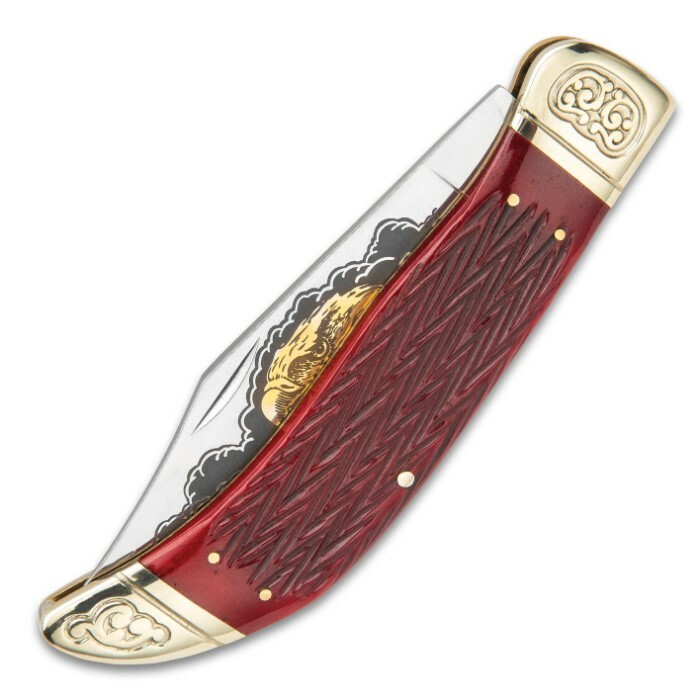 The pocket knife has genuine red-brown, ridged bone handle scales secured with brass pins and features nickel silver bolsters. 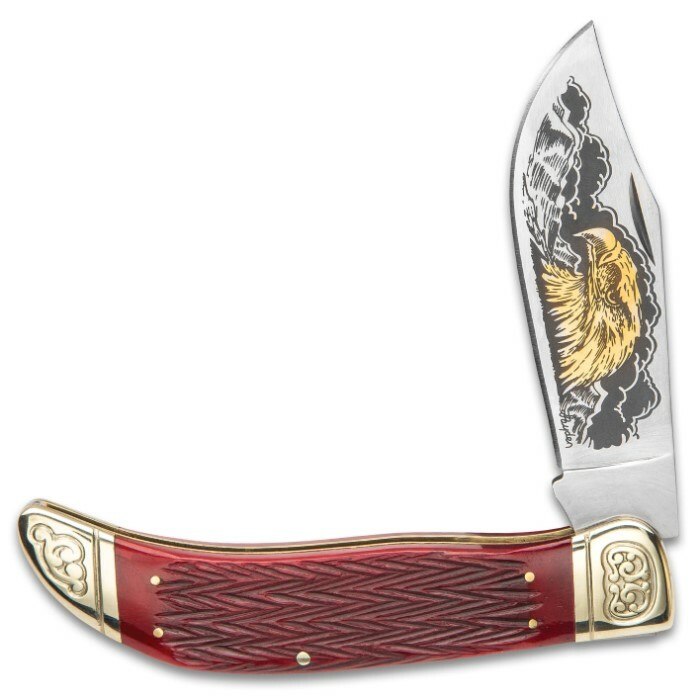 The stunning pocket knife is 5 1/4”, when closed, and a nail nick on the decorative blade makes it easy to access. This magnificent collectible is sure to go quickly, so make sure you are one of the lucky ones who gets it!